Spring Birthdays and Linda's Bridal Shower! 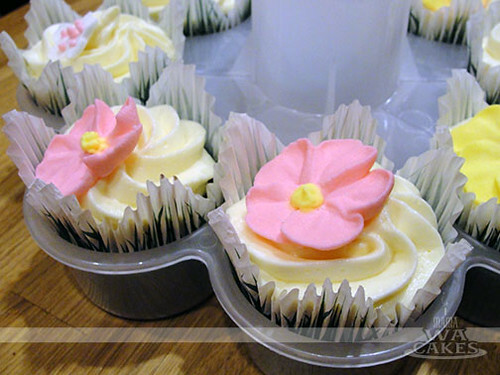 First up are these lovely spring floral cupcakes for Eumi. 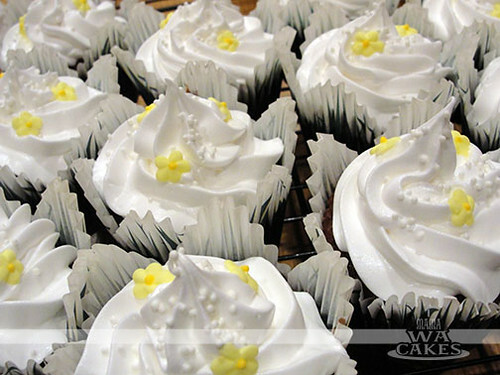 These mocha cupcake are filled and topped with coconut whipped cream. The richness of the chocolate and coffee is complimented by the delicate finish of the coconut. 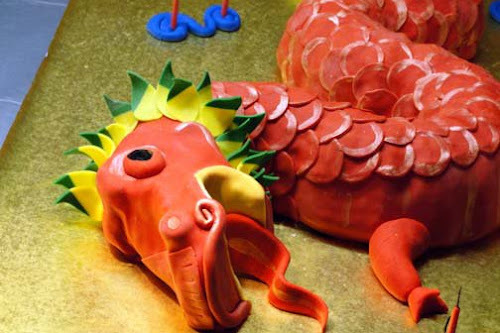 The aroma warms you, and the royal icing flowers brings out a smile. TIP: Royal icing flowers can be made ahead of time and stored in air-tight containers for whenever you want to make a treat bloom. I usually pipe a variation of colors and flower types to give me options. Half of these were milk chocolate cake filled with yummy coconut whipped cream, and adorned with more of the fluffy goodness. To keep with the spring theme, I finished them with a dash of nonpareils and mini yellow drop flowers. The remaining half were rich dark chocolate cake filled with raspberry preserve. The tartness of the preserve balanced the decadence of the cake. 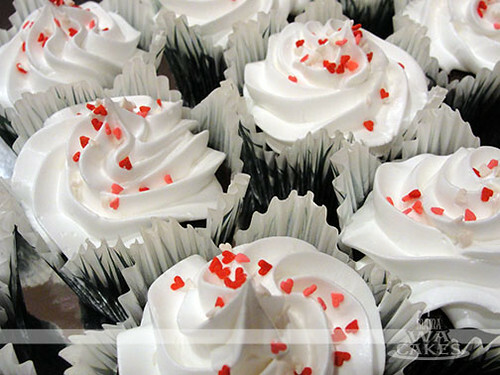 Airy peaks of whipped cream floated on top with a gentle helping of red heart sprinkles for the sisterly love. This 8 inch tall x 8 inch round beauty is stacked tall of moist white cake filled with layers of fresh mango and whipped cream. 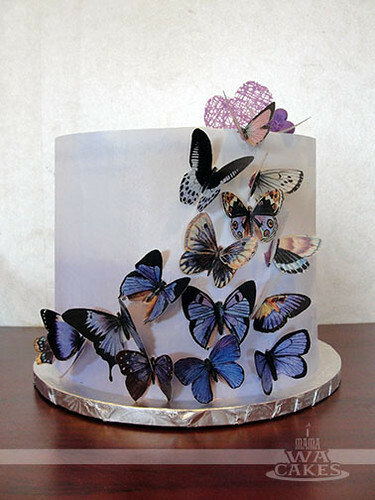 The assembled cake was then covered in a light ombre of purple to offset the rich colors of the edible butterflies. 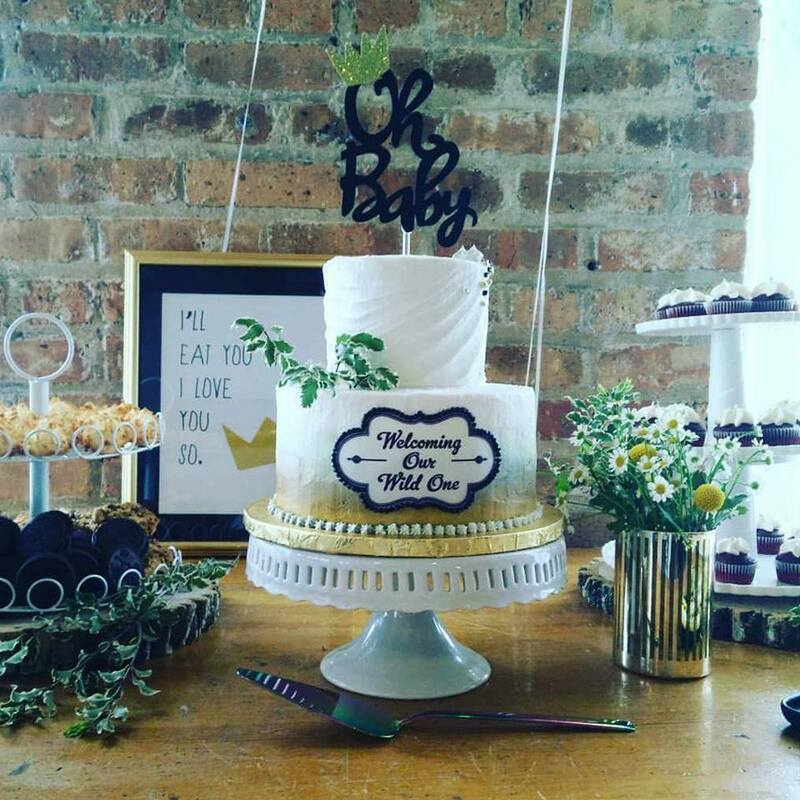 To create the ombre effect, I tinted coconut whipped icing (pretty popular the past month) and piped on bands of colors using a icing tip. I started and the bottom of the cake with the darkest and worked my way to the top, each band becoming a lighter shade. The top of the cake matched the last band of color I piped around the sides. TIP: To create the shades of purple, I tinted the half of the whipped icing the darkest shade I wanted. After piping on a band of the darkest shade, I then added some of the white whipped icing to the remaining purple to lighten it. Continue until you get to the top of the cake and you got all the various shades of purple without all the extra bowls! Once all the various shades were on the cake, I smoothed out the bands of color in gentle horizontal strokes with my 15in angled spatula. This blends the bands of colors seamlessly and creates the trendy ombre effect! Once the sides were done, I smoothed out the top of the cake and prepped for the butterflies. 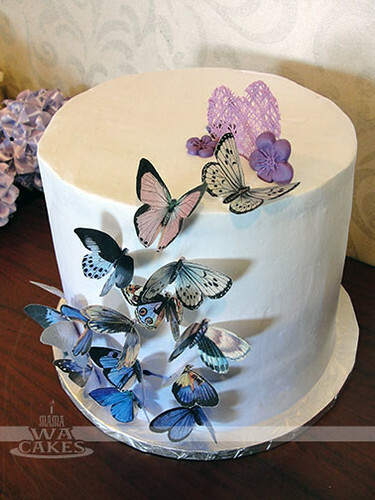 The butterflies are edible and are printed on wafer paper. They were hand cut and folded down the center for life-like dimension. I then dipped the center of the butterflies in purple candy melt. 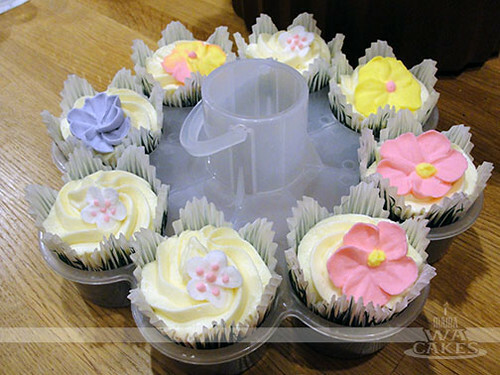 This step helped to prevent the butterflies from becoming soggy or limp once attached to the whipped icing. 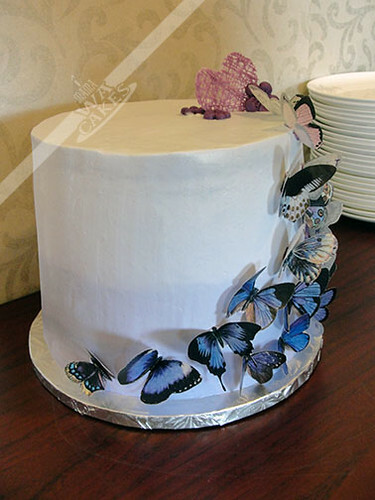 The butterflies were then attached to cake in a sweeping gradation to compliment the ombre cake. The cake was then finished with a candy drizzle heart I made. Congrats sis!